Jimmy holds a bachelor degree in international relations from Gadjah Mada University with a focus on international political economy of security. Jimmy is a junior qualitative researcher. He is responsible for data collection, developing research instruments, and supporting analysis and research findings. His main interests in research include power politics and the nexus of development and peace. Jimmy had experiences in various social organizations as a social worker and researcher. He was a campaign and fundraising coordinator for Yayasan Rumah Impian Indonesia, a local NGO in Yogyakarta which focuses on education for street children. 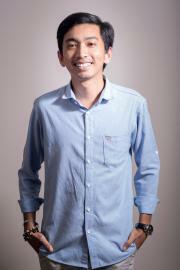 In addition, he was a research assistant for SUMMIT Institute of Development in Lombok, Indonesia. Jimmy received a research grant from the Faculty of Social and Political Sciences, Gadjah Mada University, for his thesis titled “Relasi Kuasa dalam Perdagangan Senjata di Sudan Selatan 2013-2016”. In 2018, his article “Vulnerabilities of Indonesia’s Extractive Industry to Illicit Financial Flows” was selected to be presented in the Anti-Corruption Summit held by the Indonesian Corruption Eradication Commission (KPK) and was published in Jurnal Integritas. The same article was also published in the INTEGRITY Anti-Corruption Journal published by KPK.